Throughout the years, various media platforms depict young adults with Major Depressive Disorder. Though less publicized, MDD is also quite common among older adults. According to the National Alliance on Mental Illness, Depression affects more than 6.5 million of the American Populace. Most of the people in this age group has experienced depression for the majority of their lives. 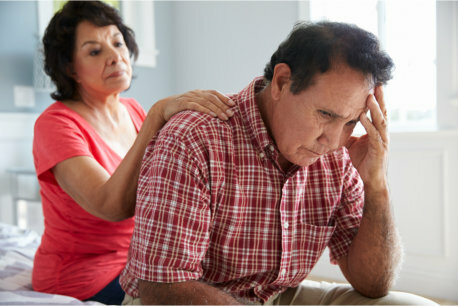 Many Health Care Service in New Jersey are equipped to assist seniors that are suffering Depression. What Are the Causes of Depression in Older Adults? Having a companion from a provider of In Home Care in New Jersey is a great way to cope with the effects of depression. Not only will they take care of you, but they will become your friend as well. Are the Symptoms of Depression Different in Older Adults? What makes it more difficult to spot these symptoms is that they are also similar to symptoms of other illnesses, such as Dementia and Alzheimer’s disease. Fortunately, treatment is possible. Having an understanding caregiver from ExPO Signature Home Care can help with your treatment. As a Home Care Provider in Manalapan, New Jersey, we are here to help. This entry was posted in Elderly Care and tagged Depression, Depression Symptoms, Elderly Depression. Bookmark the permalink.